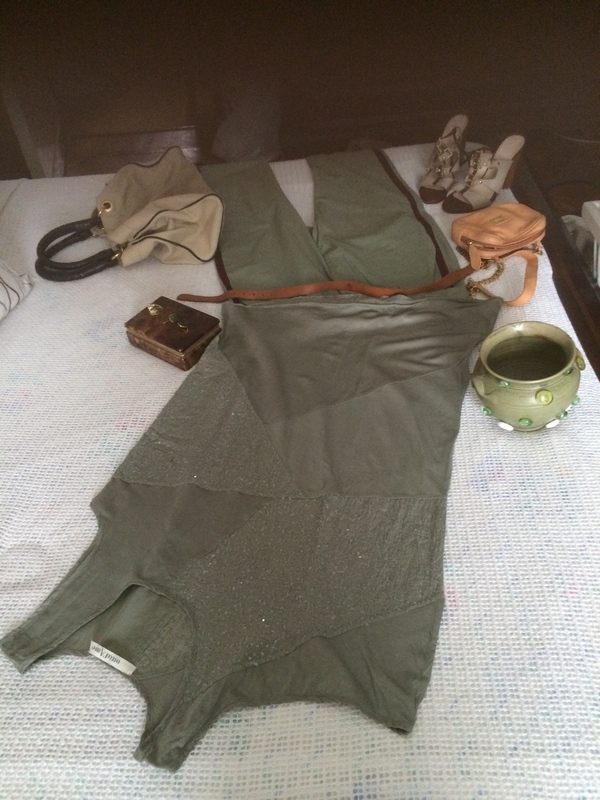 Summer Casual Chick Wear – Understated Italian Style. "Tips when In Milan so as not to feel a sore thumb among them. They have quiet admiration for those who "got it" as their understated rule's codes on how to dress. Conformity is key. Other cultures the more uniquely put together one is, the better. Not the case in Italy, especially in Milan. Admittedly, today it is not as much applied as in the past. But, understanding the Italian approach to fashion is equal to embracing the world's most elegant and cultivated form of self-presentation. Who wouldn't want to master that?" 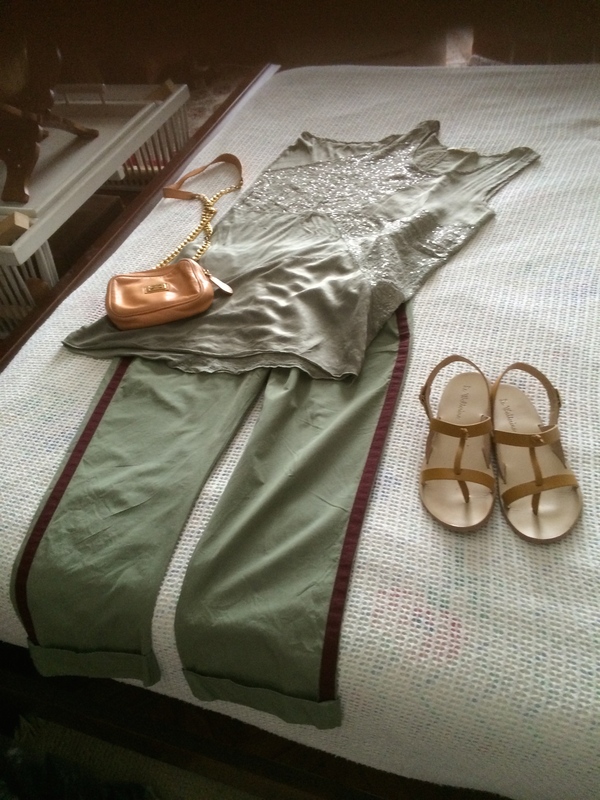 A casual combination of moss green top and 3/4 pants with Max Mara day canvas bag and thick heels day/night shoes to match with. Another option is a mango-coloured sling bag with a casual slightly beige mustard-coloured open-strapped shoes. 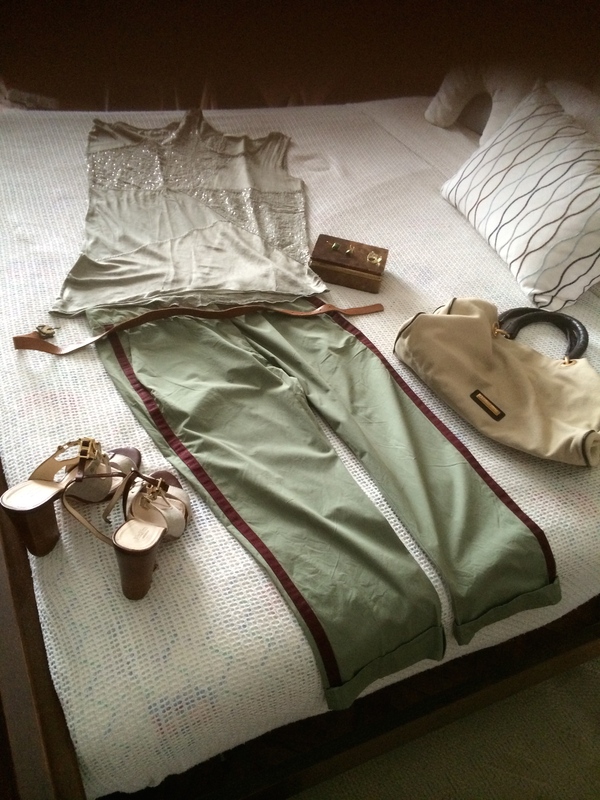 Moss green asymmetric top with 3/4 length moss green with burgundy side vertical-strap pants combined with a Max Mara day canvas beige/brown bag with its thick-heeled shoes. Shoes can be worn in the casual outing in the evening also. Another is a mango-coloured classic sling bag with an open-strap mustard-coloured shoes for an even more casual for walking in the city wear.